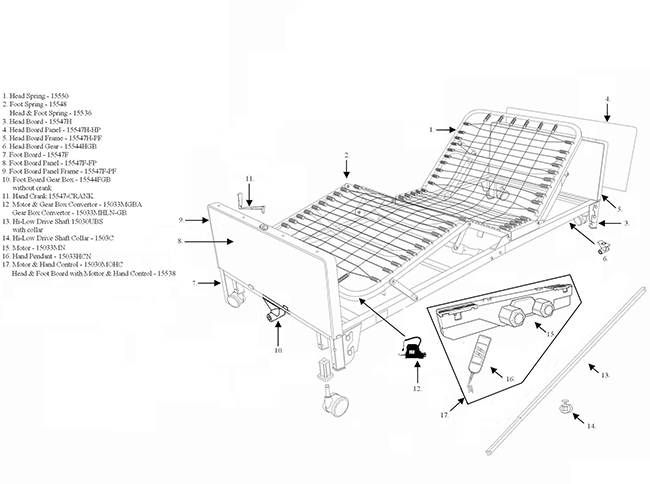 The Low Bed 100 MAX is truly universal because the bed frame can be used with most other manufacturers bed ends, old and new. The transition box mounted on the foot section is key to interchangeability. 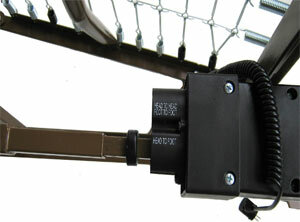 The transition box allows you to change the rotation of the high-low shaft. 9 1/2" to 23 1/2" deck height. Top mounted Hi/Lo crank accessibility. 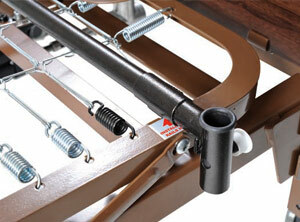 Height adjustable motor comes pre-installed on the foot section. 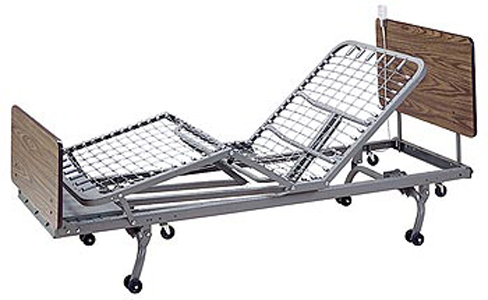 Caster easily moves from standard to low bed position. Warranty: (Original purchaser) 5 years on motor and hand control, Limited Lifetime on welds and frame, 1 year on all other parts and components. 1. Confirm that all parts are present. 2. 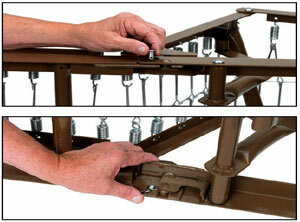 Connect the head spring by aligning with foot spring and swinging both ends away from each other. 3. 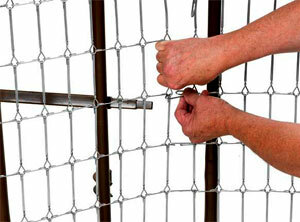 Optional: Insert lock pin through connected sleep surface and secure with spring clip. 4. Place the foot spring standing up on the floor on its side. Slide Hi/Low shaft through hanger bracket. of the shaft to the bottom receptacle as shown. 6. Slide lock collar 1/4” from the foot side of the hanger bracket as shown. 7. Hi/Low shaft connected to Hi/Low motor. 8. 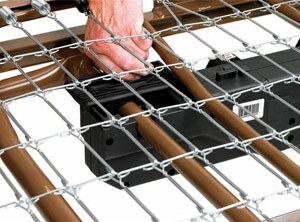 Connect head section and foot section by squeezing together and attaching with spring links. 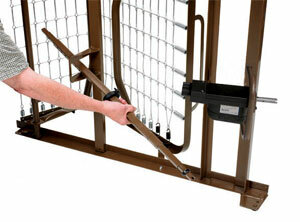 Pull up the head section and foot section to release tension between the springs. 9. 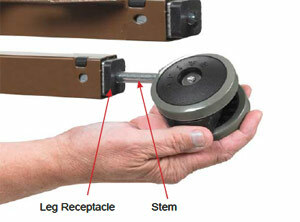 Install the casters by inserting the stem of the caster into the leg receptacle. 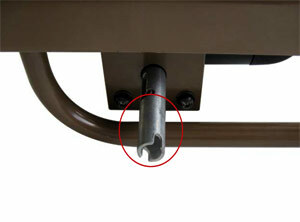 It is recommended to install 1 locking caster and 1 non- locking caster on each bed end. 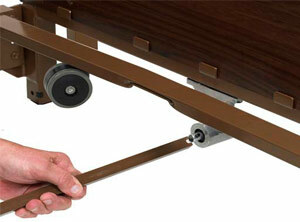 The locking casters should be installed diagonally from each other. 10. 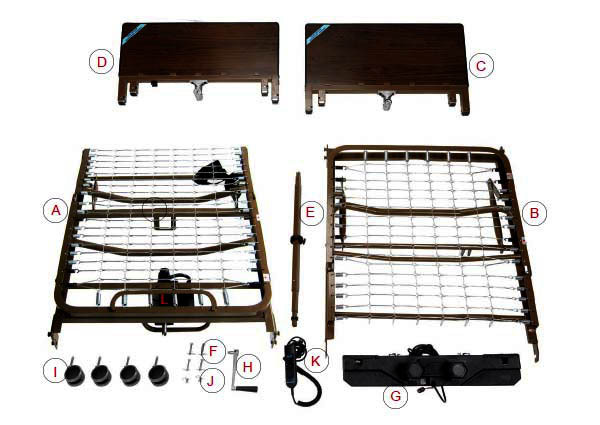 With bed on side extend the shaft until it reaches the full length of bed. A. 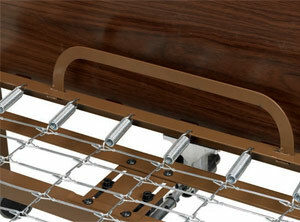 NOTE: The shaft adjustment holes are marked to indicate the style (semi/full) of bed the shaft is being installed on. 11. 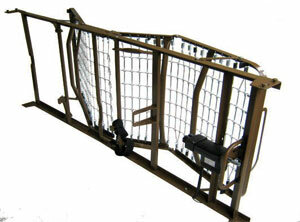 Attach the head board and foot board as shown. A. NOTE: The head section is higher than the foot section. 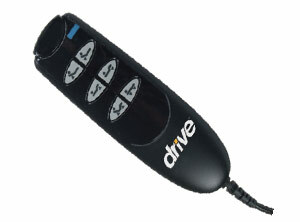 However, they are interchangeable with each other, with all other Drive and other manufacturers head and foot boards. the shaft as shown. 13. Release the spring loaded shaft on the hi/low motor and insert the shaft into the gear box on the footboard. 14. 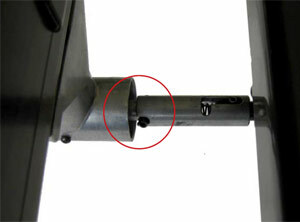 Make sure the slot on the spring loaded shaft engages the roll pin on the gear box. 2. 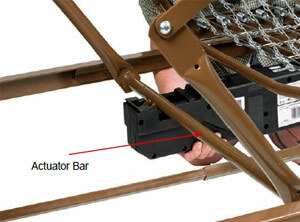 Align the motor with the actuator bar and lift the head spring to the highest position. 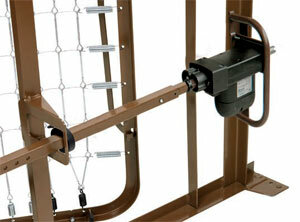 The motor will automatically be pulled towards the bed and lock onto the accuator. Repeat for foot section. 3. After the motor is installed, slide locking covers back on motor. 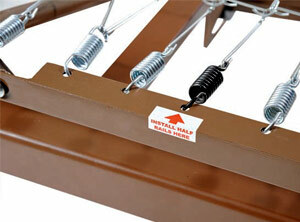 The head section features labels on the frame marked, “Attach Half Rails Here” and black springs for proper placement. 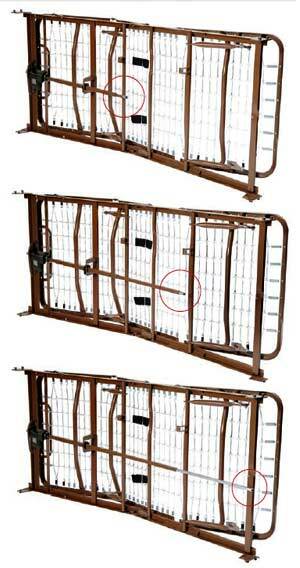 • The foot and head section have color coded springs, labels and notches in the frame. 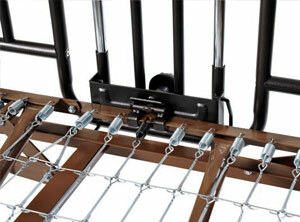 • Install the cross brace between the black springs for proper rail placement. 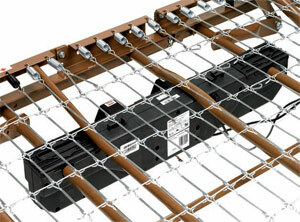 Before a mattress is laid on the bed, flip up the mattress guard to reduce the movement of the mattress. Drive recommends the following maintenance and cleaning procedures be conducted between users. Check all controls to make sure all functions work properly. 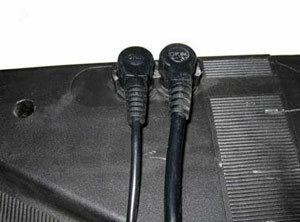 Check all cables for damaged or frayed wires. Check to make sure all plugs are fully inserted or attached. 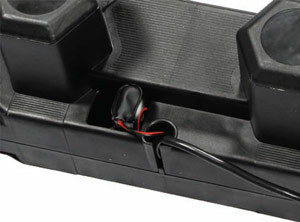 Check 9V battery on motor and replace annually. 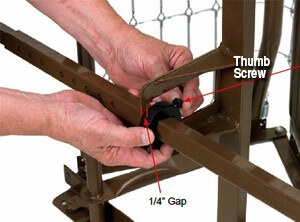 Check joints between sleeping surface sections for loose fasteners. 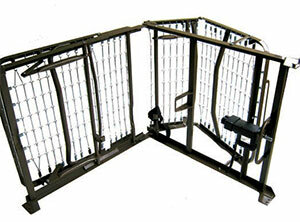 The metal parts of the bed are covered with a powder coating. Clean all coated parts with mild detergent and warm water. 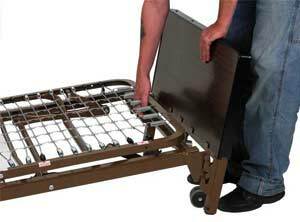 Periodically raise head and feet sections of the bed and remove dust from frame. Also, periodically remove mattress and clean mattress deck. Lightly grease all actuator screw threads with white lithium grease. Lubricate all caster roller and swivel bearings with light machine oil. Check all bolts and tighten as needed.